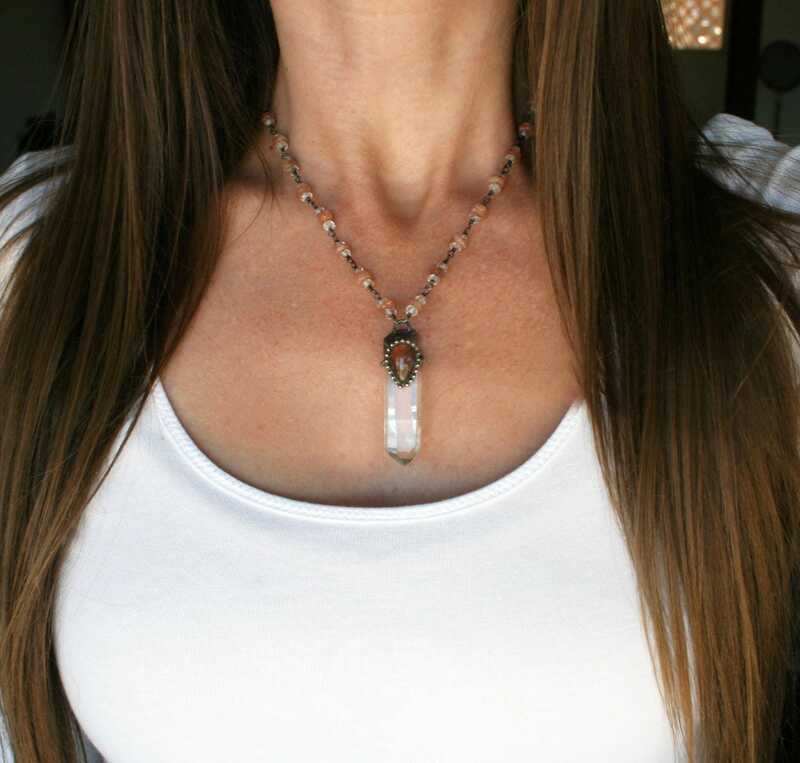 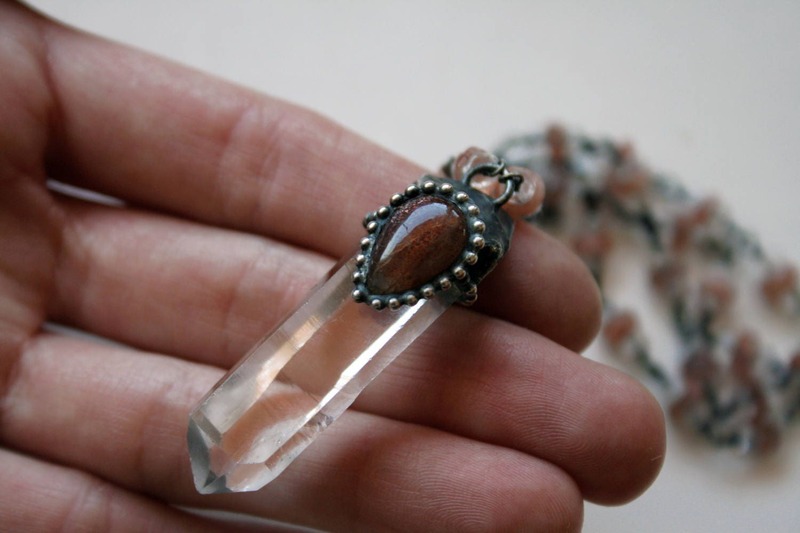 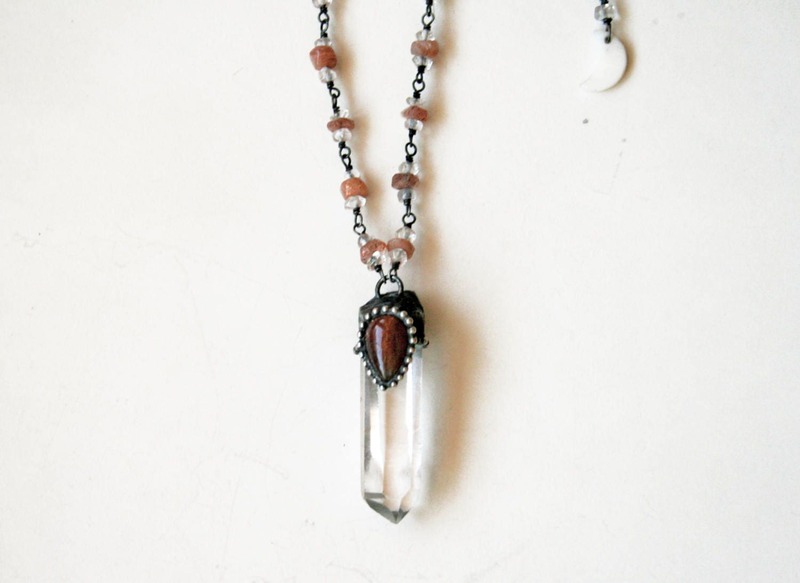 One necklace, featuring a petite water clear terminated quartz crystal point, set in an artistic handmade silver alloy solder setting, with a sparkling bright sunstone set in the center. 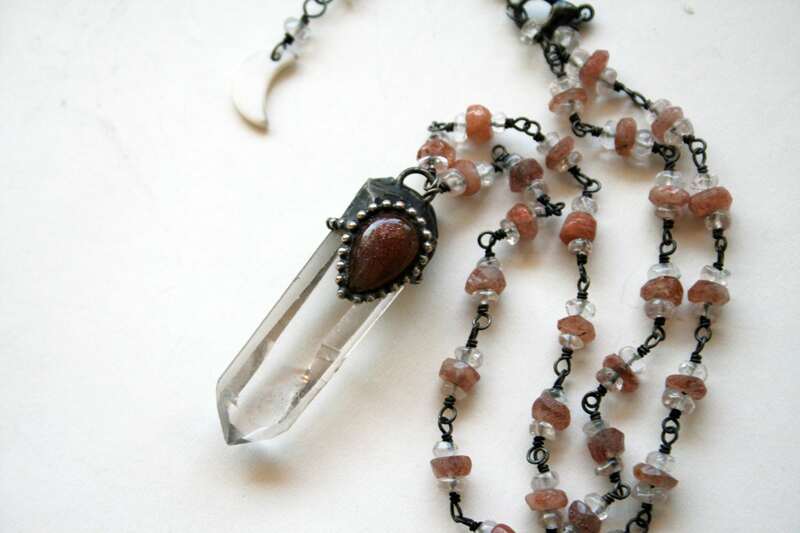 This pendant hangs from a chain I intricately made myself, which features faceted sunstone and clear quartz beads on iron. 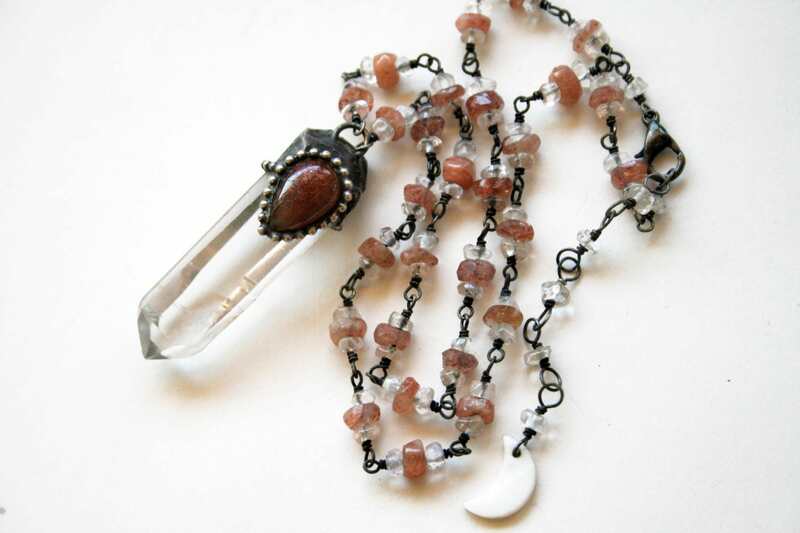 Chain is adjustable between 17" - 19" long, with a lobster clasp and a mother of pearl crescent moon charm.